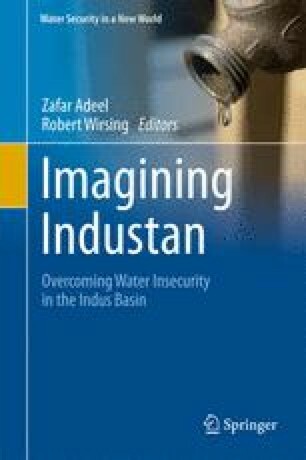 This chapter is concerned with how water can be sustainably managed across the Indus basin, focusing specifically on the challenges of surface water management in India and Pakistan. Governments in both countries have laid emphasis on the expansion of hydropower for storage, irrigation, and energy trading, and consequently the politics of water is increasingly implicated in the geopolitics of the Indus basin. Within each country, the control of water varies across time and space and reflects the dynamics of broader power structures such as those related to the relationship of the state to different social groups. The supply-side hydraulic paradigm that has historically predominated in both countries engenders a technocratic institutional culture and securitized discursive environment that is resistant to the voices of nonelite actors. As the private sector has assumed a greater role in hydropower construction, particularly in the Indian Himalayas, there has not been a concomitant shift in the transparency or accountability of water governance institutions, as advocates of economic liberalization suggest there should be. Clearly, then, accommodating the needs of different stakeholders beyond the status quo requires a challenge to prevailing state-society relations within both India and Pakistan at a variety of scales. In turn, effective basin-wide management will require a transformed institutional culture that is more open to polycentric formations. In arguing that such a change in institutional culture is both desirable and possible, the latter part of the paper highlights the role that multitrack dialogues, education, and media can all play as part of the promotion of a de-securitized basin where peaceful and sustainable relations replace long-standing conflict.